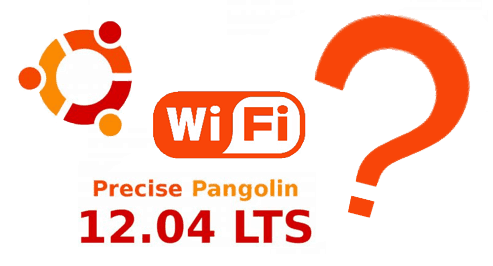 Home Home Server How to fix wireless problems in Ubuntu 12.04 LTS Precise Pangolin? Ubuntu dropped the ball again when it comes to wireless support (in my case the Atheros AR9285/AR9287 cards). Release 12.04 being a Long Term Support (LTS) release, I was hopping that the long existing Ubuntu wifi problems would be rectified. Let us look at some ways to fix wireless problems in Ubuntu. Since the 10.04 Lucid Lynx release, the problem of intermittent / choppy wireless connectivity have existed in Ubuntu, disappointing many users including me. So how can I get wireless internet to work on Ubuntu or how to fix the wireless problems in Ubuntu?. Both the above solutions would fix the intermittent or choppy connectivity in Ubuntu. In 12.04 Precise Pangolin however, the wireless connectivity is even worse: it simply does not connect. The boot process halts at “Configuring Network Connection” for about 2-3 minutes before continuing to boot without network connectivity. You are then presented with a nice desktop which in these days have little use without internet connection. Reading around on the internet several people have mentioned this problem. If the above solutions don't work, read on to try other fixes. You will see that this is a deprecated command and use “reload networking” or “sudo service networking restart”. After the command executes, your network will be reconfigured and you should now have internet connection. Unfortunately, this has to be done after almost every reboot. You may run this command automatically when the session starts to get your Wifi to work. But the 2-3 minute delay during boot is still an annoyance. Check for “Power Management:off” under wlan0 to ensure that the power management is turned off. Save and reboot. Personally, I like to have wireless N speeds and would recommend this as a last resort. Many users still use IPv4 and therefore do not need IPv6 (as long as it works I do not care which IP protocol I use). Then open /etc/modprobe.d/blacklist.conf and ensure that the Broadcom driver is not blacklisted. The Broadcom driver will start with the characters ‘bcm'. If you do find that it is blacklisted then put a ‘#' in front of the line. Then reboot. Many of these are band-aid solutions and not permanent fixes and may not solve all wireless problems in Ubuntu. I will continue to work on finding a solution for this. When I do, this post will be updated. In the long run, I hope Ubuntu does something about this. If you find a fix that worked for you please share it with us. I hope this helps someone. UPDATE (9/1/2012): Wireless problems in Ubuntu have reduced since 12.04.01, especially Kubuntu 12.04.1.